Whether you have missing teeth or no teeth at all, dentures can be a great solution. Our denture clinic offers a range of solutions to fit your needs when it comes to dentures. You don’t need to suffer from an uncomfortable device or worry about which foods you can eat with the many options for teeth replacement at Crown Dental Group’s denture clinic. All devices are made in our state-of-the-art, on-site laboratory. We will help you achieve a functional, beautiful smile. We can even repair and reline your dentures on the same day in our denture clinic for appointments booked before midday. This provides our patients with reliable and efficient care that your busy schedule requires. We also offer a convenient mobile denture service. If you live within a 15km radius of our practice, we are happy to visit you in the comfort of your own home. Patients often visit us after experiencing the following issues with their dentures from another dental clinic. If you are experiencing issues with your dentures, book in for a denture consultation at Crown Dental Group. Any adult who has lost a permanent tooth may be a candidate for dentures. After a personalised consultation with your dentist to determine the health of your gums and remaining teeth, they may recommend dentures. 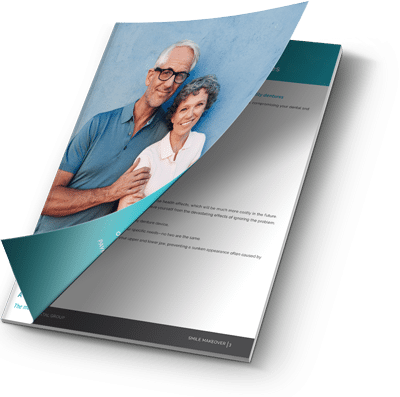 Ready to book a dental assessment? 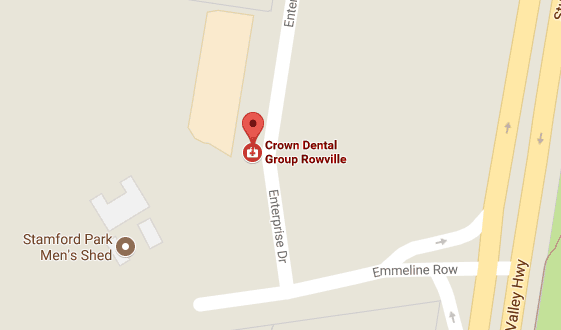 Contact Crown Dental Group to organise an appointment on (03) 8288 1477. It’s normal for it to take some time to get used to a new set of dentures, especially if this is the first time you’ve had dentures. The fastest way to acclimate to your dentures is to wear them all the time. Re-learning to chew can be particularly difficult. In order to ease into the new sensation, we recommend our patients start out with soft foods, try not to favour chewing one side over the other, chew food on both sides at the same time and don’t bite into hard foods with your front teeth. Common symptoms that patients may experience while adjusting to new dentures include: excessive production of saliva, an overcrowded or bulky feeling, slurred speech or reduced taste. Generally, these symptoms will subside with time as you get used to your new dental prosthetics. However, if any of your symptoms are particularly acute or bothersome, please don’t hesitate to contact Crown Dental Group. How to make dentures more comfortable? It is important to make sure your dentures are the right size and fit. Your dentists may recommend a resizing or realigning which will make dentures more comfortable and less likely to injure your gums. Ask your dentist about different types of dentures made of different materials to provide a wide range of benefits. How to keep dentures in place? Dentures are kept in place by their fit however because the gum shape and size may change there are some products that act as an adhesive to keep dentures in place. It is important to discuss ill-fitting dentures with your dentist before making any adjustments to the appliance yourself as this may lead to denture breakage or injuring yourself. The shape of your gum line changes as your gums heal after tooth loss. Well-fitting dentures are built based on the healed shape and size of your gums which may take time. Immediate dentures can serve as a temporary measure after a tooth has been extracted, allowing enough time for your gums to heal, and while you wait for your permanent denture. At Crown Dental Group we have a dedicated dental lab on-site which means you don’t have to wait the usual turn-around time for your denture appliance. Our dental technicians can start working on your denture as soon as it is prescribed. How to care for my dentures? Patients often think that they can clean their dentures as they would their natural teeth. This is a big mistake! Dentures are made of a different material that requires specialised, gentle care. For more information about denture care, click here. If you are uncertain or have any questions about cleaning your dentures, please don’t hesitate to contact Crown Dental Group Denture Clinic. Our dedicated dental prosthetist, Levent Ibrahim, is happy to consult with you and determine how best to help you. You should be able to have the full function and look of your teeth without worry! Contact us today to find out more about our denture devices or to book in for a same-day appointment.